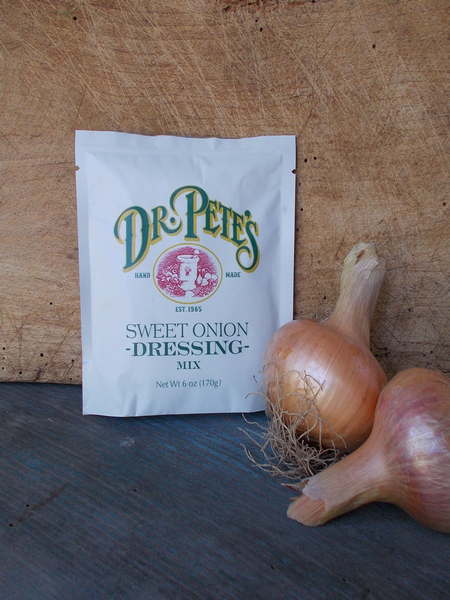 Sweet onions are known for their ability to make your mouth water rather than your eyes water, and this salad dressing is no different. A perfect blend of savory onion, celery seed and ground mustard, our dressing is layered with delicious flavors! Just add oil, mayo, and apple cider vinegar to deliver a taste of the sweet south to your next dish. All natural and preservative free. Makes about 16 oz.